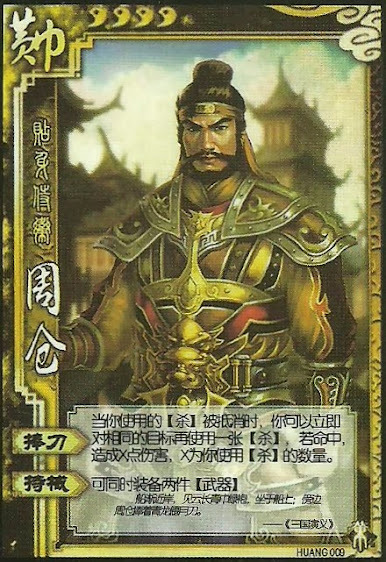 If a target escapes Zhou Cang's attack, he can attack the same target again. If he hits the target, it does X damage. X is the number of attacks that Zhou Cang used. Zhou Cang can equip up to two weapons at any time. "Armed" is much like the Green Dragon Blade. The only difference is that the damage ramps up if he eventually hits the target. When Zhou Cang has two weapons from "Sword Bearer", he can use their abilities together.